It is not easy running a business. 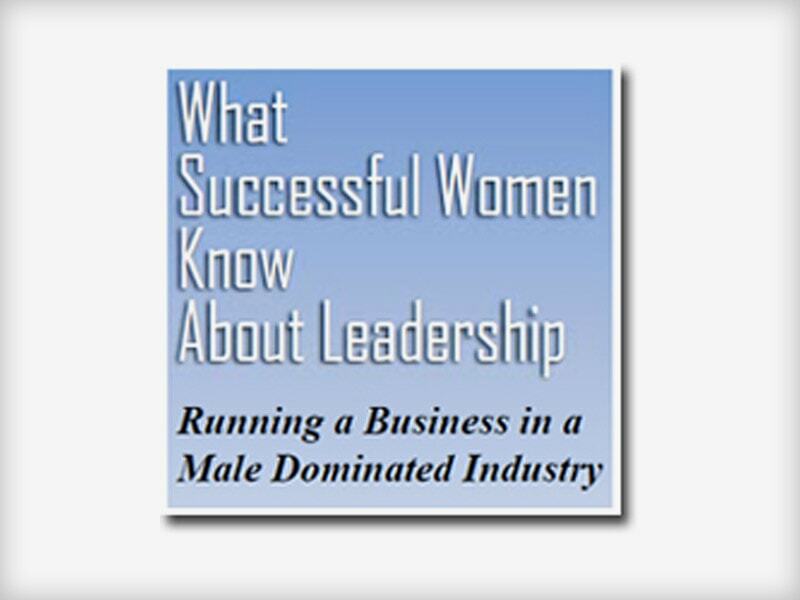 It can be especially challenging for women in the male dominated construction industry. Learn from female entrepreneurs at the helm of companies from $300,000 to $25 million from coast to coast in the United States. Besides the obvious, find out how the smart, courageous women business owners differentiate themselves from the competition that earns respect and wins new business. You can find inspiration and good advice to help you run your business regardless of the industry. The Great Recession of 2008 profoundly affected businesses around the world. Some did not survive. In this report, entrepreneurs share their strategies to meet the challenges of the global chaos. Discover why these changes are good business practices in any economy. When the survival and future existence of your business depends on smart choices, it is amazing what you can do. 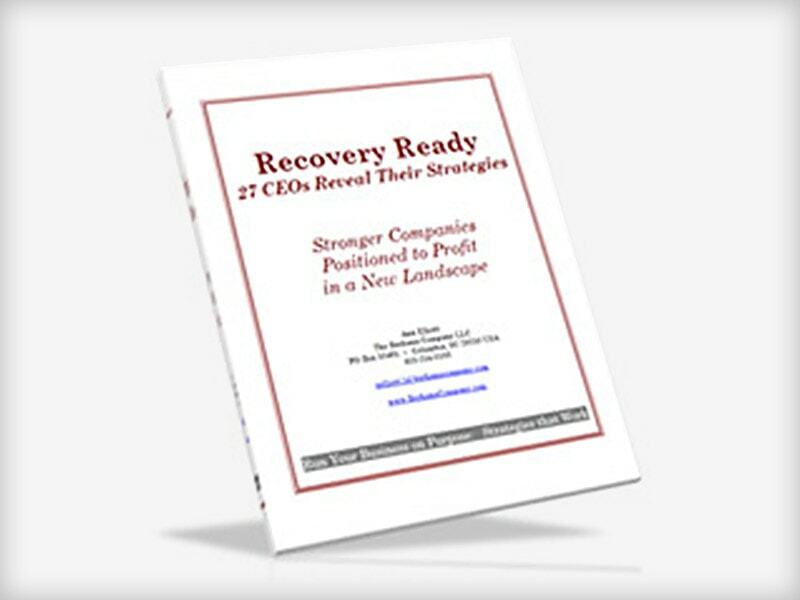 Learn how 27 entrepreneurs positioned their companies not only to survive but also to take advantage of the economic recovery. Apply these simple, practical actions to your business. For many of us, making a decision about a tough situation produces a lot of anxiety. Important decisions with a lot at stake create sleepless nights, worry, and uncertainty. Time spent sorting it all out saps your creativity and derails your focus. Use this simple, practical guide to bring clarity to your choices and a process to get into action. Once you realize about how much your current situation is costing you, making a decision about the best option becomes much easier. 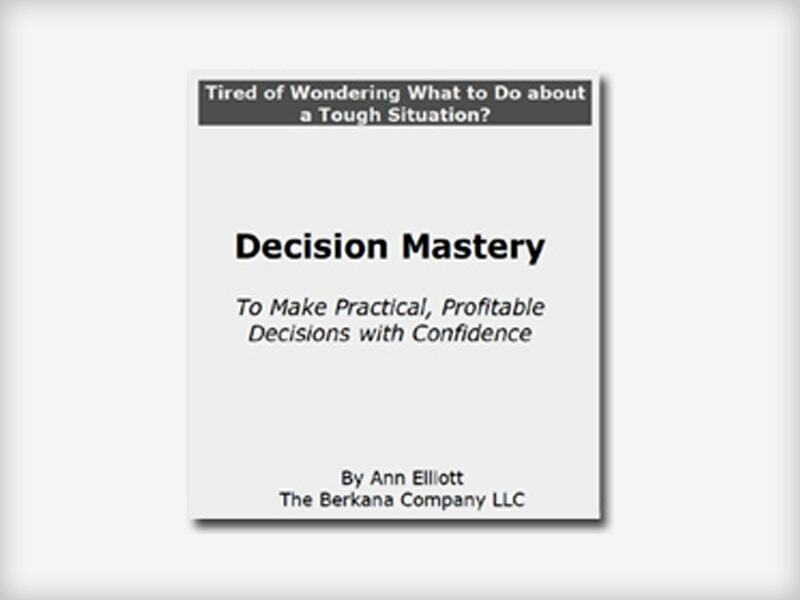 Discover how your dilemma becomes manageable and what you can do about it. Get into action with a clear objective and a plan. Not only are you energized but your confidence increases, too. Full disclosure: The books below are Amazon Associate links. By purchasing them through these links, Berkana Company receives a small percentage of the sale.